The end of the Miocene was an eventful period of changes in climate and geography, and a restructuring of terrestrial plant and mammals. The tendency towards global aridification has attracted much recent interest, making the late Miocene a striking case‐study for testing current and near‐future scenarios involving global warming. Little is known about the consequences of global changes in temperature and precipitation at regional or local scales. Given its geographical position and extraordinary fossil record, the Iberian Peninsula offers many insights into short‐ and long‐term shifts in climate, and the local response. Here, we explore the diet and ecology of large‐mammals through tooth‐wear patterns, and examine changes in local climate and habitat conditions in central Spain in a period (9.1–6.3 Ma) for which there exists a dearth of palaeoenvironmental information. Relatively dry climates and open‐woodland landscapes evolved locally during the late Vallesian and early Turolian (9.0–7.7 Ma). Unexpectedly, we detect a period of high precipitation and a peak of humidity at the end of the Turolian (7.0 Ma) that prompted the development of wetter, more forested habitats, suggesting that the traditional view of the late Miocene as a steppe landscape is a misconception. We also find a period of relatively drier and warmer conditions from the early Ventian onwards. Overall, our finding that a local episode of increased humidity in central Spain was synchronous with a global warming trend in Europe provides evidence that the greatest climatic changes may have an opposite impact at regional and local scales. The end of the Miocene (~9.0–5.0 Ma) was an eventful time with severe geological events, and changing global climate (Zachos et al. 2008) and terrestrial vegetation (Singh 1988). From 9.5 Ma onwards, Europe was affected by global cooling and increased aridification (van Dam 2006; Jiménez‐Moreno et al. 2010). One important phase in the circum‐Mediterranean area was the Vallesian Crisis (c. 9.6 Ma), in which fruit‐rich evergreen (subtropical) forests were replaced by more deciduous, drier forests as a consequence of increased seasonality (Agustí et al. 2003; van Dam 2006). Due to changing climate and palaeogeography (including sea‐level drops and terrestrial bridges), Europe (and specially the circum‐Mediterranean area) also experienced several major biotic events, such as the disappearance of most of the middle Miocene forest‐adapted mammals (e.g. hominoids and other humid‐adapted taxa) and the arrival of immigrants from the peri‐Mediterranean region and Asia (c. 9.0–7.5 Ma) (Koufos et al. 2005). A differentiate (zonal) climate in Spain (Favre et al. 2007; Jiménez‐Moreno et al. 2010) was one of the main causes for which many of these above mentioned shifts were most pronounced in inner Spain. All this global tendency was indeed most pronounced in the Turolian (c. 8.7–7.0 Ma), as denoted by the occurrence of prairies and steppe and subtropical‐adapted vegetation (Barrón et al. 2010). The composition of the terrestrial mammalian faunas suggests that an important change occurred during the Turolian–Ventian transition (c. 7.8–6.3 Ma) (Morales et al. 2013) and that, at around 6.1 Ma, an ephemeral landbridge allowed the first exchange between Africa and Europe across Spain (Garcés et al. 1998). Finally, a new shift in climate towards increasing continentality and aridity around 5.9 Ma (combined with tectonic convergence between Africa and Europe and the resulting uplift of the Spanish and NW African mountain chains) led to the closure of the Iberian and Rifian Seaways and the complete isolation of the Mediterranean Basin (Krijgsman et al. 1999; Morales et al. 2013), which culminated in a temporal desiccation of the Mediterranean Sea. It is therefore evident that in Europe, the late Miocene coincided with the interplay of tectonic and global climate fluctuations (mostly including continentality and drying) which played a critical role in major biome distribution, the evolution of terrestrial ecosystems, and the emergence and dispersal of new mammalian species. Over the last two decades, considerable emphasis has been placed on understanding how European climatic shifts impacted the environments and species during the late Miocene. 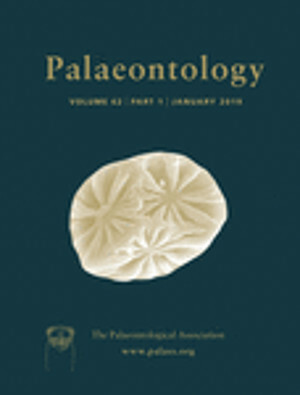 Intense palaeontological (Alberdi et al. 1997; Azanza et al. 2000, 2004; Fortelius et al. 2006, 2014; Böhme et al. 2008, 2011; Barrón et al. 2010; Eronen et al. 2010a, b; Jiménez‐Moreno et al. 2010; Costeur et al. 2013; Maridet et al. 2013; Casas‐Gallego et al. 2015; Madern & Hoek Ostende 2015), sedimentological (Garcés et al. 1998; Krijgsman et al. 1999) and geochemical (Domingo et al. 2013; Rey et al. 2013) work has positively contributed to this target. So far, however, one of the main problems affecting many studies focused on the late Miocene has been caused by insufficient stratigraphical resolution and a wealth of available information, as they often involve a disparate nature (and uneven distribution) of the awkward information (see Fortelius et al. 2006). This is probably the reason why many results are conflicting. Although some of this dispute may be due in large part to climatic zonation within Europe, with central Europe becoming dryer and south‐west Europe staying wetter (though this is only true for punctual time intervals and specific geographical areas) the regional effects of the climate of the latest Miocene are still not sufficiently well‐known. Also importantly, we still know very little about the palaeoenvironmental circumstances of some of the inner regions of Spain (such as the Alfambra–Teruel Basin) during the interval that comprises the interval from 9.0 to 6.5 Ma, since there exists a large amount of proxy data in the literature for these areas, actually belonging to older (early Tortonian) or younger (late Messinian) time intervals. Given its key geographical position of the Iberian Peninsula during the late Miocene (between Africa and Eurasia, and between Mediterranean and temperate climates; Jiménez‐Moreno et al. 2010) and its outstanding record of large mammals from different renowned localities with well‐documented ages (Álvarez‐Sierra et al. 2003), this region has much potential for understanding the short‐ and long‐term shifts in climate during the late Miocene and their regional and local effects. With this aim, we focus on the diet and ecology of large plant‐eating mammals from the Alfambra–Teruel Basin (one the best‐sampled parts of the late Miocene Iberian record) to reconstruct changes in habitat in a time (from nearly 9 to 6 Ma) of global climate variation that was of extraordinary relevance for the origin of many present‐day mammals and the evolution of modern Europe. The material consists of 483 teeth of cervids (N = 165) and bovids (N = 318) from the late Miocene basin of Alfambra–Teruel (central Spain) (Fig. 1). The sample comes from ten different localities and spans four European Land Mammal Neogene (MN) ages and zonations (MN10–13, local zones J3 to M2) (Table 1) located in the middle area of the basin, where the composite section comprises over 200 m of late Miocene to early Pliocene sediments (Alcalá et al. 2000; van Dam et al. 2001). Most of the sites selected for this study are classic (La Roma 2, Puente Minero, Los Mansuetos, Concud‐Cerro de la Garita, Valdecebro 3, El Arquillo 1, Las Casiones, Milagros; see details in Alcalá 1994), while some others are new (Rambla de Rio Seco E and Rambla de Rio Seco K; see Azanza et al. 2014 and Pérez‐García et al. 2013). Here we use the latest chronology for the end of the Miocene according to Morales et al. (2013) in which a new mammalian age named as Ventian is validated. It comprises faunas recorded between 7 and 5 Ma, correlatable with the Messinian and divided into zone M (with three subzones; van Dam et al. 2001) and N (with N1 and N2 subdivisions; Morales et al. 2013). Accordingly, the Turolian is restricted to zones K and L. The specimens are housed at the Fundación Conjunto Paleontológico de Teruel‐Dinópolis (Teruel, Spain), Museo de Ciencias Naturales de la Universidad de Zaragoza (Zaragoza, Spain) and Museo Nacional de Ciencias Naturales‐CSIC (Madrid, Spain). Abbreviations: GR, taxonomic group; C, Cervidae; B, Bovidae; Ma, millon years ago; N, number of specimens measured; pH/PL, percentage of specimens with high/low occlusal relief; pS/pR/pB, percentage of specimens with sharp/rounded/blunt cusps; MS, mesowear score. Fossil sites: AQ, El Arquillo; CD, Concud; KS, Las Casiones; LM, Los Mansuetos; ML, Milagros; PM, Puente Minero; RO2, La Roma 2; RRSE, Rambla de Río Seco E; RRSK, Rambla de Río Seco K; VDC3, Valdecebro 3. Average values for each taxonomic group in the time intervals are in bold. Ages were assigned according to (1) van Dam et al. (2006) based on correlation to local magnetostratigraphically dated sections, cyclo and lithostratigraphic extrapolation, and biostratigraphic correlation; and (2) Domingo et al. (2014) based on a biochronological study of the upper Neogene of the Iberian Peninsula using the maximum likelihood appearance event ordination method (Alroy 2000). There are different dental ecomorphological variables for reconstructing past climate and environments based on large (especially herbivorous) mammals. Among them, patterns of dental wear and tooth crown height (or hypsodonty) are the most widely used in the literature (DeMiguel et al. 2008). Both variables provide a proxy for the mechanical properties of the foods eaten, which gives clues about climatic data (such as precipitation) and vegetation. Hypsodonty is simpler to compute than dental wear, and it is also quite reliable if used at the global scale. However, it is also much more problematic when used at regional and local scales because the link between dental crown height and habitat type is still unclear. This is because hypsodonty is more complex than one might expect, and there are many things to consider, such as allometry and phylogeny, which precludes interpretations of habitat type and environmental conditions (Damuth & Janis 2011; DeMiguel et al. 2015). Apart from this, other proxies have a stronger statistical correlation for estimating precipitation values and climatic data than hypsodonty and other ecomorphological variables (such as body mass and body length) (Eronen et al. 2010a, b). Therefore, we have used tooth wear proxies such as mesowear and microwear for palaeoclimatic and palaeoenvironmental reconstruction because they: (1) are not related to phylogeny; (2) are more effective and informative at the scale level of this study; and (3) may capture much of the environmental signal. The tooth‐based mesowear method (Fortelius & Solounias 2000; one of the most powerful tools for documenting dietary abrasion) was used. Upper and lower molars were analysed following Kaiser & Solounias (2003) and DeMiguel et al. (2010, 2012). Individual molar cusp shape (CS) and occlusal relief (OR) was computed and then converted into a single mesowear score (MS) for each species following Rivals et al. (2009). The comparative extant database by Fortelius & Solounias (2000) of 45 extant ungulates was used for comparative purposes. Additionally, analyses of the microscopic marks (or tooth microwear) left by the food of the last meals (days, weeks) consumed before an individual's death were performed for specific samples to reconstruct short‐term variations in diet and detect seasonality. In selecting specimens, preference was given to second molars (Solounias et al. 2000). Given recent results by Ramdarshan et al. (2017), we performed microwear analysis using three options for tooth type (i.e. combination of upper and lower molars, only lower molars and only upper molars) (Table 2) and note that most of our results are not sensitive to tooth type, and the fact of grouping upper + lower teeth does not inflate the guild of mixed feeder species (contrary to the observations of Ramdarshan et al. 2017). Because Ramdarshan et al. (2017) based their analyses on microwear texture, a possible explanation may be that traditional microwear variables (scratches and pits) are more robust than texture variables (complexity, anisotropy, heterogeneity, etc.) and do not show as much dependence on the type of tooth (upper vs lower) selected for study. Micrographs of occlusal enamel surfaces were taken at 500× with an ESEM, and microscopic wear traces (pits and scracthes) analysed using Microware 4.02 (Ungar 2002) in a 0.4 mm square area. The number of scratches and pits were transformed into a density score in order to simplify the comparison of fossils with other taxa. A set of 28 extant ungulates with well‐known diets derived from Solounias et al. (2000) was used for comparison. Abbreviations: N, number of specimens measured; S, scratches/mm2; P, pits/mm2; SD, standard deviation. Diet: FB, fruit browsing; G, grazing; LB, leaf browsing; SM, seasonal mixed feeding. Fossil sites: AQ, El Arquillo; KS, Las Casiones; CD, Concud; PM, Puente Minero; RO2, La Roma 2. As can be seen, there is a very high predictive power of the discriminant analysis. This means that among the 28 extant ungulates used to fit the model, 82.1% are correctly classified according to the microwear densities. This percentage is the same in the three analyses because it refers to the same extant baseline sample and variables and does not affect the fossil cases. Data for microwear are highly robust and offer very few changes in feeding style for the fossil cases (see DIET column) according to tooth type. Most of these changes apply to those specimens with the lowest sample size, and the fact of grouping upper and lower teeth does not always inflate the guild of mixed feeder species, since there is a higher number of mixed feeders when considering only lower tooth positions. Hierarchical, complete‐linkage (Ward′s method) cluster analyses based on Euclidean distances and discriminant canonical variate analyses (CVA) were carried out to characterize dietary traits of species. The combination of rounded and blunt cusps, and high relief were used for the mesowear analyses as criterion variables. Two dietary classifications, conservative and radical, were used alternately in the discriminant mesowear as a grouping variable. Statistical results (mean, standard error and standard deviation) of mesowear values are also provided for statistical demonstration of the analyses (Table 3). The microwear tests were developed using densities of scratches and pits as variables. Descriptive and inferential statistics were computed using SPSS Statistics 19 (IBM Corp. 2010). A more comprehensive description of the statistical techniques is available in DeMiguel et al. (2012). Abbreviations: N, number of specimens; SD, standard deviation; SE, standard error; Fossil sites: AQ, El Arquillo; ML, Milagros; KS, Las Casiones; VDC3, Valdecebro 3; RRSK, Rambla de Río Seco K; RRSE, Rambla de Río Seco E; LM, Los Mansuetos; CD, Concud; PM, Puente Minero; RO2, La Roma 2. Overall, the predominant mesowear pattern is a predominance of high relief and rounded cusps, as well a considerable proportion of sharp cusps. It is also worth noting the incidence of low relief and some blunt cusps in the bovid Tragoportax gaudry from La Roma 2 (Table 1). On average, Vallesian bovids have a MS of 0.82, similar to that of some extant ruminants showing a highly abrasion‐dominated wear though they are mixed feeders. Dental microwear data show a moderately incidence of high scratching and intermediate pitting (Table 2) (close to some extant seasonal mixed feeders), thereby corroborating observations from long‐term patterns of mesowear. Species exhibit mesowear comprised of a predominance of round cusps and high relief and scores from 0.60 to 0.80 (Table 1) similar to those of extant mixed feeders. Overall, the average MS values for bovids and cervids is 0.68 and 0.80, respectively, which are very similar to those of the Vallesian species. Microwear data (Table 2) indicate that Tragoportax gaudry apparently depended more on grasses, denoted by an intensively striated enamel surface and intermediate pitting. It thus shares strong affinities with extant seasonal mixed feeders with a seasonal preference for grass. The bovid Boselaphini indet. 1 and the cervid Lucentia aff. pierensis from this stage differ quite strongly from other previous and contemporaneous taxa by having lower striation and pit densities (Table 2), a signal also seen in some extant fruit‐browsers. Such a discrepancy in the type of dental wear indicates that these two species ate a significant proportion of ligneous, soft foods just before death, despite having a long‐term signal more typical of an intermediate‐abrasive, mixed feeder. This heterogeneity concerning methodologies indicates a difference between their average trophic practices and the last meals consumed. There is a considerable variation in the proportion of rounded and sharp cusps among species, and two trends are observed within this stage (Table 1). On one hand, most of the fossils from Los Mansuetos and Concud (with the exception of Gazella deperdita) have a combination of sharp and rounded cusps and high relief, and scores between 0.56 and 0.66, equalling those of many extant mixed feeders. On the other hand, species from Rambla de Río Seco E and Gazella deperdita from Concud have higher proportions of sharp cusps and lower scores that range from 0 to 0.36 (similar to that of many extant leaf‐eaters), which essentially suggests less abrasives and committed browsing. Although the restricted sample of Rambla de Río Seco E allows us to tentatively propose that Hispanodorcas and the Boselaphini were truly committed to browsing, results for the gazelle from Concud are conclusive, as it comprises one of the largest samples of the study. Overall, there is, therefore, more variation in the diet of MN12 (zone L) species (including foods creating less dental abrasion) if compared with MN10 (zone J3) and MN11 (zone K) taxa. This is confirmed by the average mesowear values of this time span (0.37 for bovids and 0.61 for cervids). Dental microwear (Table 2) for Tragoportax gaudry and Gazella deperdita from Concud show intensively striated enamel surfaces and intermediate pitting for the former, and a moderate incidence of high scratching and high pitting for the gazelle. The high pit densities found in Gazella suggest that high proportions of woody ligneous material were consumed during browsing, which is in full agreement with the browser style inferred from tooth mesowear. We find a great dietary heterogeneity and a wide spectrum of food abrasion for the first half of the Ventian (zone M1) (Table 1). Despite an extraordinary taxonomic diversity, with at least eight ruminant species being recorded at only two sites, the number of specimens from this time span is not sufficiently abundant. Pliocervus cf. turolensis and Tragoportax sp. from Rambla de Río Seco K display mesowear mostly comprised of sharp cusps and high relief and scores of 0 and 0.2 that suggest low levels of abrasion, as typical of leaf browsers. Pliocervus cf. turolensis from Valdecebro 3 has 50% sharp and 50% rounded cusps and high relief, and a score of 0.50; a signal that reveals that diet was moderately abrasive (similar to extant mixed feeders). Boselaphini bovids from Valdecebro 3 and cf. Pliocervus aff. matheroni from Rambla de Río Seco K show instead stronger rounding and high relief (though also display significant proportions of sharp cusps), giving an overall score that ranges from 0.60 to 0.80. When compared to extant species, their mesowear shares affinities with extant mixed feeders. Finally, Tragoportax gaudryi and cf. Pliocervus aff. matheroni from Valdecebro 3 have more rounded apices and scores of 1.0 and 1.28, thus pointing to higher levels of abrasion in their diets, as typical of grass‐dominated feeders. Despite the scarcity of specimens, some individuals of cf. Pliocervus aff. matheroni show extensive incidence of blunt cusps and low relief, which is unusual even for the largest samples studied here (Table 1). This might indicate that this cervid was somewhat more committed to grazing and to the ingestion of abrasives than others. When the taxonomic groups are analysed in conjunction, the average values of mesowear for this stage are 0.65 for bovids and 0.61 for cervids. Species from the second zone of the Ventian (zone M2) also show a strong asymmetrical pattern and diet fluctuation (Table 1). Almost all species from Las Casiones and El Arquillo have about 50% sharp and 50% rounded apices and high relief, and scores ranging from 0.47 to 0.63 (similar to several extant mixed feeders). Pliocervus aff. matheroni from Las Casiones differs from these in having a higher proportion of sharp cusps and a lower score of 0.31 (similar to some leaf‐eaters). All the species from Milagros have teeth with stronger rounding and high relief, and scores between 0.69 and 0.79 which are indicative of intermediate levels of abrasion and diets similar to those of extant mixed feeders. Pliocervus turolensis from Milagros is the only species in this stage with the presence of blunt cusps and low occlusal relief (Table 1), which is indicative of a more abrasive diet. On average, MN13 (zone M2) bovids have scores of 0.60, whereas cervids exhibit a very slightly lower score of 0.58. There are microwear data for some species of this last stage (Table 2), which vary from moderately high (Pliocervus aff. matheroni from Las Casiones; Pliocervus turolensis from El Arquillo) and intensive (Pliocervus turolensis from Las Casiones; Pliocervus aff. matheroni from El Arquillo) incidence of scratching and intermediate pitting (for all species analysed), similar to those of the extant seasonal mixed feeders. This is in full agreement with data from mesowear. An explorative cluster analysis yielded two major clusters (Fig. 2A) clearly separating browsers (cluster A) from mixed feeders and grazers (cluster B). Among fossils, MN10 (zone J3) and MN11 (zone K) species cluster in B with extant species known to be mixed feeders (in subcluster B1). Boselaphini indet. 1 (Puente Minero) is in turn included in subcluster B2, together with the remaining extant mixed feeders and browse‐dominated mixed feeders. Most of the MN12 (zone L) species clump also together with extant mixed feeders in subcluster B2, whereas a few (Boselaphini indet. 3 and Hispanodorcas sp. from Rambla de Río Seco E, and Gazella deperdita from Concud) are grouped with extant browsers in cluster A. Considerable heterogeneity in mesowear within MN13 (zone M1 and M2) populations is observed, resulting in the emplacement of species across the diagram (in clusters A and B). Overall, the analyses indicate a variable (mixed) diet for most of the fossil ruminants, with the exception of: Boselaphini indet. 3 and Hispanodorcas sp. from Rambla de Río Seco E; Gazella deperdita from Concud (MN12), Tragoportax sp. and Pliocervus cf. turolensis from Rambla de Río Seco K (MN13, zone M1); and Pliocervus aff. matheroni from Las Casiones (MN13, zone M2), which all show greater affinities with extant browsers; and Tragoportax gaudry and cf. Pliocervus aff. matheroni (Valdecebro 3) (MN13, zone M1) which are more similar to grass‐dominated mixed feeders. Figure 2 Open in figure viewerPowerPoint Results of the cluster analysis and the CVA based on dental wear features. A, hierarchical cluster based on the percentage of high occlusal relief, round cusps and blunt cusps. B, CVA based on a conservative dietary classification. C, CVA based on a radical classification. The first dietary assignment of the species corresponds to that of the conservative classification, and the second informs a possible foraging specialization (or dietary tendency) in generalist species. Ellipses show the variability of extant dietary categories (browsers, mixed feeders and grazers); crosses (x) denote group centroids. Data of extant species from Fortelius & Solounias (2000). Symbols denote the time interval to which each species belong; black symbols represent extant taxa. Fossil sites: AQ, El Arquillo; CD, Concud; KS, Las Casiones; LM, Los Mansuetos; ML, Milagros; PM, Puente Minero; RO2, La Roma 2; RRSE, Rambla de Río Seco E; RRSK, Rambla de Río Seco K; VDC3, Valdecebro 3. Colour online. The discriminant canonical variate analysis (CVA) (Fig. 2B, C) provides a satisfactory dietary discrimination, with 77.8% of extant taxa correctly classified by dietary categories according to a conservative classification (Fig. 2B). MN10 and MN11 (zones J3–K) species were classified as mixed feeders (Fig. 2B), while MN12 (zone L) ecosystems seem to have supported browsers (Gazella deperdita from Concud, and Hispanodorcas sp. and Boselaphini indet. 3 from Rambla de Río Seco E) and mixed feeders (all others). MN13 species are more heterogeneous from a palaeodietary point of view, especially those of zone M1, such as Tragoportax sp. and Pliocervus cf. turolensis (Rambla de Río Seco K) that are considered as browsers. The Ventian (zone M2) populations were mostly classified as mixed feeders (Fig. 2B) and only Pliocervus aff. matheroni (Las Casiones) was classified as a browser. CVA results based on a radical dietary classification (73.3% of extant taxa correctly classified) (Fig. 2C) differ from those of the conservative for only three species: Tragoportax gaudry (RO2) and cf. Pliocervus aff. matheroni (Valdecebro 3) moved from the mixed feeder class toward the grazer one, whereas Pliocervus cf. turolensis (Valdecebro 3) moved from mixed feeder toward browser (Fig. 2C). This would imply that the former two exhibited a tendency towards grazing despite being mixed feeders (i.e. grass‐dominated mixed feeders) while the latter was a mixed feeder more inclined to browsing (browse‐dominated mixed feeder). The CVA for microwear (Table 2) confirms that the investigated variables provide a satisfactory dietary discrimination, with 82.1% of extant taxa correctly classified, and shows very few changes in feeding style according to tooth position. When considering the combination of upper and lower molars (Table 2), which allows for the largest sample size, the analysis indicates a seasonal mixed feeding for most of the fossil species, with the exception of Lucentia aff. pierensis and Boselaphini indet. 1 from Puente Minero, for which the analysis shows a frugivorous component. Regarding cervids, species of Lucentia (MN11, zone K) and Turiacemas (MN12, zone L) are here considered to be mixed feeders, and display different wear patterns according to the site, probably because of local differences in the abrasiveness of the resources. Discrepances in microwear and mesowear for Lucentia are interpreted as an indication of seasonal resource differentiation, thereby corroborating that it was probably a mixed feeder including occasional browsing. This is in full agreement with dental wear inferences for Lucentia aff. pierensis from Rudabánya (Hungary) (Merceron et al. 2007). Recent isotopic data (Domingo et al. 2013) do not support our view that Turiacemas concudensis from Concud engaged in both grazing and browsing, as these authors suggested a diet based exclusively on browse for Turiacemas concudensis according to low δ13C values. This apparent incongruity could be due to the fact that dental wear and stable isotopic signals provide dietary information at different temporal scales; tooth mesowear and microwear correspond to longer (months/years) and shorter (hours/days) scales, respectively, than isotopes. Also, the temporal scale of this latter approach strongly depends on the sampling protocol for analysis (Hoppe et al. 2004). Apart from the species of Concud, our sample also includes dental wear data for Turiacemas aff. concudensis from Los Mansuetos, which provides further evidence for considering Turiacemas as a mixed feeder. All the remaining (MN13) cervids belong to Pliocervus, and our analyses mostly reveal mixed or browsing habits for both Pliocervus turolensis and Pliocervus aff. matheroni in the different localities. There are, however, some intraspecific dietary differences that seem to be related to particular intervals, with a general trend of Pliocervus species exhibiting more opportunistic behaviours in the middle Ventian (MN13, zone M2) (with the exception of the browser Pliocervus matheroni from Las Casiones) and a narrow range of foods in the early Ventian (zone M1). In the case of the bovids, the boselaphine Tragoportax (with long limbs and postcranial anatomy suggesting cursorial adaptations and preference for open habitats; Köhler 1993) is regarded as a mixed feeder, more engaged in grazing in some of the sites (for instance in La Roma 2, MN10). This is in agreement with tooth wear (Solounias & Hayek 1993; Merceron et al. 2005, 2006) and isotopic (Zazzo et al. 2002; Domingo et al. 2013; Merceron et al. 2013) data for Tragoportax species from the sites here considered and other comparable, similarly aged, Eurasiatic localities (Greece, Afghanistan, Bulgaria and Hungary). It is important to stress, however, that Tragoportax could have been a browse‐eater (either a browser or a browse‐dominated mixed feeder) in the MN13 locality of Rambla de Río Seco K, as indicated by the predominance of cusp sharpness, high occlusal relief and low mesowear score. The remaining boselaphines are all mixed feeders, with the exception of species from Rambla de Río Seco E which has a significant browse component, although this conclusion must be tempered by the small sample. The Antilopinae Hispanodorcas had strong affinities with extant mixed feeders and browsers, which fits well with isotope data (Domingo et al. 2013) for the Spanish Hispanodorcas torrubiae and microwear (Merceron et al. 2005) for the late Turolian Hispanodorcas orientalis from Greece. We provide for the first time data for the late Vallesian Caprinae Aragoral, with a mesowear similar to that of a mixed feeder. Dental microwear confirms some seasonal variation in its foraging, as some specimens of the sample fed on grasses (and related plants) prior to death while others browsed. The common eland Taurotragus oryx might be a good dietary analogue of Aragoral mudejar, as shown by their almost identical scratching (898 and 870 scratches/mm2, respectively) and pitting (619 and 591 pits/mm2) densities. Finally, mesowear suggests that Gazella was a browser, and the high pit densities corroborate, at least, a strong browsing behaviour for this bovid. This is, however, in contradiction to studies that classify Gazella deperdita from Greece (Merceron et al. 2005) and Gazella sp. from Bulgaria (Merceron et al. 2006) as mixed feeders, but agrees with the interpretation of Gazella vanhoepeni as a browser (Sponheimer et al. 1999). It is possible to draw a more detailed scenario concerning the local response of environments from the Alfambra–Teruel Basin to shifts in global climate when tooth wear patterns are traced through time (Fig. 3; Table 3). Figure 3 Open in figure viewerPowerPoint The late Miocene scenario. A, evolutionary trend of mesowear values of species from the Alfambra–Teruel region traced according to chronological sequence of the sites and geological and biotic events. B, simplified tendency of the tooth wear calculated from average values of the late Miocene localities (see Table 3 for further information); black arrows indicate periods of strong fluctuation in humidity and temperature. Fossil sites: AQ, El Arquillo; CD, Concud; KS, Las Casiones; LM, Los Mansuetos; ML, Milagros; PM, Puente Minero; RO2, La Roma 2; RRSE, Rambla de Río Seco E; RRSK, Rambla de Río Seco K; VDC3, Valdecebro 3. Colour online. A warm and wet climate with warm–temperate forests have been inferred for Europe during the Tortonian (11.61–7.25 Ma; Böhme et al. 2008; Pound et al. 2011), with the Iberian Peninsula having instead drier, more open‐adapted vegetation and a much more fragmentary biome pattern that could have favoured temperate sclerophyll woodlands and shrublands (Pound et al. 2011). Also, precipitation estimations based on rodent associations support a clear differentiation in humidity between north‐east Spain (the Vallés‐Penedés Basin) and central Spain (Calatayud–Teruel basins) (van Dam 2006; Maridet et al. 2013). The ruminant community studied here also reflects these environmental differences. Vallesian bovids (and most notably cervids) are very poorly documented in the inner basins of the Iberian Range, which is especially remarkable if compared with previous and later epochs. This supports the fact that the Vallesian Crisis more drastically affected those ruminants living in dryer landscapes. Muntjac‐like deer were very rare elements in central Spain and there are no dental remains for these taxa. This, however, contrasts strongly with their abundance in the Vallés‐Penedés and in central European basins. There are only two middle‐large sized ruminants recorded in the late Vallesian (MN10) of central Spain. Thus, no dietary data based on the dental wear of the species are available for MN9 localities and those belonging to MN10 are still very scarce. Both the scarcity of cervids and our new dietary data for late Vallesian (MN10) bovids indicate open habitats and dry climates (and open‐habitat adapted vegetation as well) in the Teruel region after the Vallesian Crisis. This is in accordance with small mammal (van Dam 2006) and isotope (Domingo et al. 2013) data suggesting La Roma 2 as a locality of pronounced aridity (mean annual precipitation (MAP) ~314/200 mm/year and mean annual temperature (MAT) of 26.2 ± 5.4°C) which contrasts, however, with wetter environments (MAP 507 mm/year) inferred from the herpetofauna of La Roma 2 (Böhme et al. 2008). Such a discrepancy may be due either to a more sensitive signal of the herpetofauna to detect local biotopes or because they appear to detect changes in time sooner than other groups of animals. Further evidence from pollen and spores found in hyaena coprolites from La Roma 2 reveals a mixture of habitats in the surroundings of this locality, with relatively dense woodlands, less canopy cover area (and lack of shrub taxa) and the presence of herbaceous plants developed under a temperate climate (Pesquero et al. 2011), which is in accordance with our finding of a somewhat dry climate and open woodland landscapes for the end of the Vallesian. On the other hand, it is important to note the finding of a subtle (but clearly perceptible) decrease in the local abrasiveness of the foods and a greater dietary homogeneity in the early Turolian (MN11) (Fig. 3). This was probably triggered by a period of relatively higher precipitation that favoured the existence of more humid conditions not only in central Spain, but also in south‐western Europe, as detected by Eronen et al. (2010b). Such a development of wetter environments in Teruel may have allowed a new group of cervids (i.e. the two‐tined Lucentia, the first one bearing monopodial (a beam with offshoots of tines) antlers) to colonize the basin. Although dental remains of Lucentia aff. pierensis from Puente Minero are scarce, they seem to indicate a seasonal variation in food intake including occasional browsing, which fits well with a denser, wetter habitat. Ruminants witnessed a complete renewal at the beginning of this interval. Although it is relatively abundant, there is only one (three‐tined) deer species at this time, which contrasts with a burst of diversity in the bovids, with (at least) five different species being recorded in the basin: the boselophine Tragoportax gaudryi, two small‐sized antilopines and two hippotragines. An increase in the diversity of available resources and the subsequent divergence in dietary traits (Fig. 3) may help to explain such phenotypic diversity. Given that all the new bovids are mesodont and hypsodont forms, the development of more open habitats would be expected (Köhler 1993). However, our data reveal a clear dominance of the browsing niche, mainly as a consequence of the wear patterns of the new small‐sized Gazella and Hispanodorcas (Fig. 3). This contrasts with the lack of small‐sized species and the more abrasive diets recorded in the late Vallesian (MN10). Notably, a progressive transition towards more humid conditions at the end of the Turolian (MN12, zone L) can be inferred from decreases in mesowear scores (Fig. 3). Thus, a number of species (Gazella deperdita, Hispanodorcas sp. and a boselaphine bovid) primarily browsed on monocotyledon foods, probably in considerably wet and closed areas in sites like Concud and Rambla de Río Seco E (Fig. 3). Among extant ungulates, there are only browser species with mesowear scores lower than 0.20, which indicates a diet based on leaves and twigs for these late Turolian species. If our data (Fig. 3) are compared with the isotope curve constructed by Ezquerro et al. (2014) using the stable isotope composition of lacustrine carbonates in the area, we observe oxygen (δ18O) values decreasing at c. 7.0 Ma. This confirms that the humidity increase deduced for the late Turolian (~7.0 Ma, MN12) was the cause of the lacustrine expansion at the end of their so‐called ‘lacustrine stage 2’. Similarly, previous studies of sedimentary sequences and facies in the study area have proposed that carbonate lacustine deposits were deposited at the top of the stratigraphic ‘Unit II’ (see Alonso‐Zarza & Calvo 2000; Alonso‐Zarza et al. 2012) in a palustrine or a more permanent (but shallow) lacustine setting, which provides evidence of a peak indicative of more humid and cooler climatic conditions c. 7.0 Ma. Furthermore, the change to more humid conditions detected here through the dental wear of ruminants perfectly matches with the micromammalian community (also easily affected by climate instability), as the rich talpid assemblage developed in Concud is a strong indication of increased levels of humidity (Rümke 1974). Despite such a dietary specialization in most of the ruminants, an exclusive dominance of dense forests can be discarded due to the presence of several mixed feeders (also depending on some grasses and abrasives). This is supported by the fact that some specimens of Tragoportax gaudry have a high incidence of pitting, several of which are large, which indicates the presence of hard particles in the local habitat. Nonetheless, the absence of strict grazing indicates undoubtedly that grasslands were still not sufficiently widespread. This is paramount, as our dietary data discard a complete opening of the Mediterranean habitat throughout the Turolian and the formation of a new component in the structure of the landscape cover (the steppe zone) with extensive grass (and steppe‐like) vegetation, or at least a much less important opening than other studies have suggested before. Instead, we suggest the presence of mixed landscapes with the presence of both closed and open landscapes c. 7.0 Ma. Accordingly, our data contradict earlier assumptions and clearly provide evidence that the common view of the steppe as the dominant landscape in the late Miocene is a major misconception. It is also worth mentioning that such a climatic trend was apparently synchronous in deer and bovids. Our data appear largely consistent with the palaeoclimatic evidence derived from plants from north‐east Spain (Jiménez‐Moreno et al. 2010). Moreover, for most of the Tortonian (c. 11.6–7.2 Ma) the mean annual precipitation values are generally estimated to be higher than present‐day values (Böhme et al. 2008), which is also consistent with the humidity gradient here detected at the end of the Turolian. A general, prominent shift towards more dietary heterogeneity and ecological diversification (and a return to more arid and warmer conditions) is observed during the early Ventian (~6.8 Ma), as showed by the disparity (Fig. 3) and general increase of mesowear values. These differences reveal the existence of a differential resource utilization and niche segregation in the species, with the presence of mixed feeders, taxa showing wholly browse lifestyles, and ruminants engaged in grazing. The new environmental conditions may have facilitated the deposition and the adhesion to food items of grit and dust (Kaiser & Rössner 2007) and hence the higher levels of abrasion found in the teeth of Tragoportax gaudry and Pliocervus aff. matheroni at Valdecebro 3 (Fig. 3B). Samples of the last time interval (MN13, zone M2) are much more abundant than those of zone M1, and support the hypothesis of a transition from a long humid period (with a peak of humidity at ~7.0 Ma) to a more variable climate. The development of a marked seasonality of precipitation would result in more open and dry environments locally, and the subsequent response of a number of species to increase the amount of grass in their diet, leaving them well suited to cope with the new environmental circumstances. Similarly, any short interval of increased humidity would have triggered the development of somewhat more bushy environments and arboreal vegetation, which would explain the existence of species committed to browsing (such as Pliocervus aff. matheroni, among others, in Las Casiones) and the first appearance of hippopotamuses in the Mediterranean (Morales et al. 2013). Because strong seasonality and/or global aridity seem to be a restricting factor for the development of fully wooded and forested habitats, we can discard an exclusive dominance of forested ecosystems in the basin during this time, but also (again) an excessive development of open landscapes. Overall, our results agree very well with hypsodonty‐based palaeoprecipitation maps and dietary structure of the mammalian plant‐eater community (Fortelius et al. 2006) for this epoch. Palaeobotanical proxies (Böhme et al. 2017) have also suggested that water‐stress levels and increased aridification occurred in the Mediterranean on a global scale at the beginning of the Messinian (i.e. our early Ventian). These changes were likely to have led to the spread of new mammalian taxa, including the hominid Graecopithecus, into Europe. Thus, the open, C4 grass‐dominated habitats inferred after the Tortonian in the Mediterranean (Böhme et al. 2017) coincide with the intensification of the aridity that we detect locally in the Alfambra–Teruel Basin in MN13 (Fig. 3B) and the more open, arid environments that evolved in this area. Our local estimations can be also correlated with the increasing aridity trend in the Mediterranean recently inferred through the early Messinian diatomaceous deposition (Pellegrino et al. 2018). Furthermore, and although there are no pollen data available for the Alfambra–Teruel Basin during this interval (only for southern and north‐eastern regions of the Iberian Peninsula), vegetation models for the Mediterranean according to pollen records (Favre et al. 2007) show a zonal distribution along the Iberian Peninsula (Favre et al. 2007; Jiménez‐Moreno et al. 2010) with a clear limit (xerophytic vegetation/subtropical forests) near the Alfambra–Teruel Basin. The presence of such limit attests that particular environmental conditions (that general climate models fail to establish) occurred for this intra‐mountainous basin during the late Miocene. Overall, the high record of mixed feeders (some of them, such as Tragoportax in La Roma 2, committed to grazing) and the lack of browsers in the Vallesian (MN10) and early Turolian (MN11) suggest open woodlands including closed areas and more open patches for this interval, with a significant development of grass and abrasives. We interpret the changes in tooth wear together with other proxies as a shift towards more humid/cool environmental conditions which gradually intensified and reached a peak of humidity at the end of the Turolian (MN12, ~7.0 Ma). Certainly, such a climate would have favoured mixed landscapes with an important canopy coverage, well‐developed arboreal and soft vegetation, and limited an excessive development of grasses and some other plants typical of grasslands and savannas. Our data indicate that the early Ventian (MN13, zones M1 and M2, c. 7.0–6.0 Ma) was in general characterized by drier and warmer conditions and more seasonal landscapes. This can be understood in a scenario with pronounced oscillation in climate as a result of a strong seasonality (see DeMiguel et al. 2010). A greater dietary breadth and more open adapted species (also engaged in grazing) suggest that a summer‐dry and winter‐wet pattern may have appeared intermittently in the basin and affected the stability of the ecosystem. Finally, the climate seems to have evolved towards warmer and drier, preceding the conditions that ultimately led to the first desiccation phase of the Salinity Crisis in the Mediterranean. From a wider perspective, what is important here is that our data, together with results from previous authors (Rümke 1974; van Dam 1997; Alonso‐Zarza & Calvo 2000; Böhme et al. 2008, 2011; Alonso‐Zarza et al. 2012; Ezquerro et al. 2014) using different approaches (micromammal communities, tectono‐sedimentary analyses, stratigraphical evolution and isotopic analysis of carbonates, etc.) indicate that this phase of increased humidity and humid‐adapted vegetation was coeval with a time of global drying and cooling. Thus, the diversification of arid‐adapted cacti and succulent plants between 10.0–5.0 Ma (Arakaki et al. 2011), the restriction of the Parathetys and the establishment of the Sahara Desert at c. 7 Ma (Zhang et al. 2014) or the expansion of C4 grasslands at the expense of C3‐dominated ecosystems dating to 8–6 Ma (Cerling et al. 1997) are among the relevant facts that illuminate the magnitude and wide range of this global event. Regarding major faunal events, four prominent turnover pulses associated with the Alpine Neogene tectogenic phases (Pickford & Morales 1994) are recognized in south‐western Europe during the last 22.5 myr, of which two occurred during the late Miocene; our focus here. The first was the so‐called Vallesian Crisis (early–late Vallesian), first recognized as a local episode in the Catalan coastal basins (Casanovas‐Vilar et al. 2014). The record of the Alfambra–Teruel Basin shows a number of extinctions that occurred during the late Vallesian (MN10) but over a longer time interval (~9.5–9.1 Ma) than that of the Vallès‐Penedés Basin (van Dam 1997). Although the causes of the Vallesian Crisis are still unclear, several recent works have found that the event coincides with: (1) a positive trend in benthic foraminifera δ18O values that reflects global cooling conditions (Westerhold et al. 2005); (2) an increase of δ13C values of Spanish herbivorous mammals between MN9 and MN10 that relates to a local change towards drier conditions (Domingo et al. 2013); and (3) a decrease in precipitation at 9.7–9.6 Ma using the ecophysiological structure of late Miocene Spanish herpetofaunas (Böhme et al. 2011). According to our results, however, the feeding ecology of the herbivores suggests more humid conditions than expected and a persistence of forested areas during the late Vallesian (~9.1 Ma) (for example in La Roma 2), which is entirely in agreement with several studies that show no drastic changes in regional vegetation or climatic conditions in Spain during the Vallesian (Agustí et al. 2003). The second faunal event correlates with the last phase of the Alpine orogeny (Rhodanian tectogenic phase) (Fig. 3) that caused the close of the occidental Mediterranean, and matches the last Turolian faunas and the beginning of the Ventian (c. 7.8–6 Ma) and continues with the Messinian Salinity Crisis (5.96–5.33 Ma). Iberian mammals of this time reflect the general trend in climate of the last part of the Miocene (relatively high temperatures and humidity; van Dam 2006), which led to the development of Asian‐influenced associations (Morales et al. 2013). North‐east migrations were also largely favoured by these conditions. The interchange was initially moderate during the first Ventian subzones (M1 and M2), though coincided with an increase in humidity (in subzone M2) that allowed the dispersal of hippopotamuses. This interchange acquired a massive character during the M3 and witnessed the arrival of Asian and North American mammals, such as camels, new carnivores (Agriotherium, Eucyon and Lutra) and modern ruminants (the oldest Western Europe Bovini Parabos). The mammals of this period are, therefore, very heterogeneous in both composition (Morales et al. 2013) and ecological requirements, which perfectly fits with the pronounced oscillations in climate and the strong local environmental shifts that we detect for this time. New information on the diet (obtained through tooth‐wear patterns) and ecology of large mammals helps trace the environmental evolution of the Alfambra–Teruel Basin during the late Miocene in more detail, especially concerning changes in local climate and habitat conditions. Regarding the Vallesian (MN10, zone J3) and early Turolian (MN11, zone K), the absence of deer, the lack of strict browsing bovids and an abundance of opportunistic bovids (some engaged in grazing) indicate a relatively dry climate and open woodland landscapes with open‐habitat adapted grasses. This suggests that this event did affect ruminants living in dry areas more drastically. From 8.5 Ma onwards, our data indicate a subtle but perceptible period of relatively higher precipitation that favoured the existence of denser, wetter environments in Teruel, which probably allowed a new group of monopodial‐antlered deer to colonize the basin. We find that such a shift did reach a peak indicative of humid/cool conditions at the end of the Turolian (MN12, zone L, ~7.0 Ma), which led species to intensive browsing in environments with an important canopy coverage and arboreal vegetation. Our new data exclude, therefore, the hypothesis that a complete opening of the Mediterranean habitats occurred throughout the Turolian, and contradict earlier studies and the widespread view of the steppe as the landscape dominant in the late Miocene. Lastly, there was a prominent shift towards strong dietary fluctuation from the early Ventian onwards (MN13, zone M1), with most of the species being mixed feeders, some taxa showing wholly browsing lifestyles, and others being engaged in grazing. We find that rapidly changing ecosystems evolved locally for this period, with the alternation of open/dry habitats and more bushy/arboreal environments. Because all this occurred within a global drying trend in Europe, our data support the view that the greatest changes in climate may have an opposite impact at regional and local scales, which is critically important for understanding the expected consequences of global warming. That is, under arid/warm global conditions, a more humid/cool climate in some regions may represent a possible scenario for future global climate change. Accordingly, we need to be aware of the uncertainties associated with climate so that we can weigh them in formulation of strategies to cope with the risks of climate change. We are indebted to Luis Alcalá and Eduardo Espílez (Fundación Conjunto Paleontológico de Teruel‐Dinópolis) for granting access to collections under their care. Peter Ungar kindly provided Microware 4.02 software. We also thank the editor Lionel Hautier, and Gina Semprebon, Sally Thomas and an anonymous reviewer for their careful reading of our manuscript and their many insightful comments and suggestions. This research was supported by the Agencia Estatal de Investigación (AEI) from Spain and the European Regional Development Fund of the European Union (projects CGL2015‐68333‐P and CGL2016‐76431‐P).